Cat5 Security Services, Inc. is an authorized Lyric™ dealer. No schedules, no programming, and no complex menus – simply security and comfort when you’re home, and savings when you’re away. Welcome to your connected home. 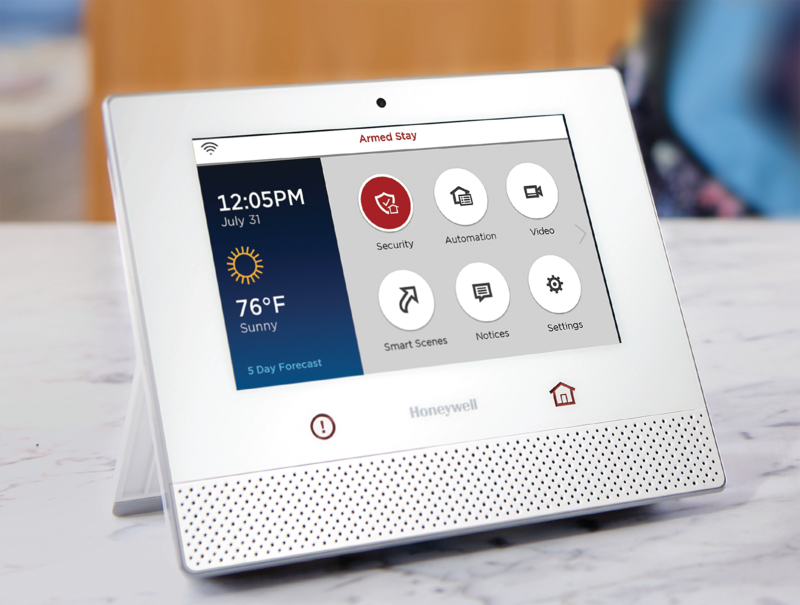 Honeywell’s next-generation security and home controller puts your home at your ngertips—all from one vibrant 7″ touchscreen. 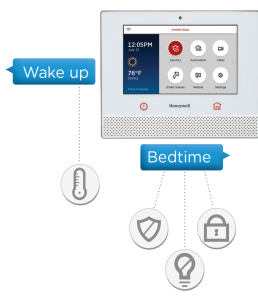 The Lyric Controller is intuitive, easy to learn and easy to use, whether you’re controlling security, thermostats, cameras, lights or locks with a tap on the touchscreen or the sound of your voice. Featuring a sleek, low-pro le design and stunning high-resolution graphics, it looks great on walls or tabletops. 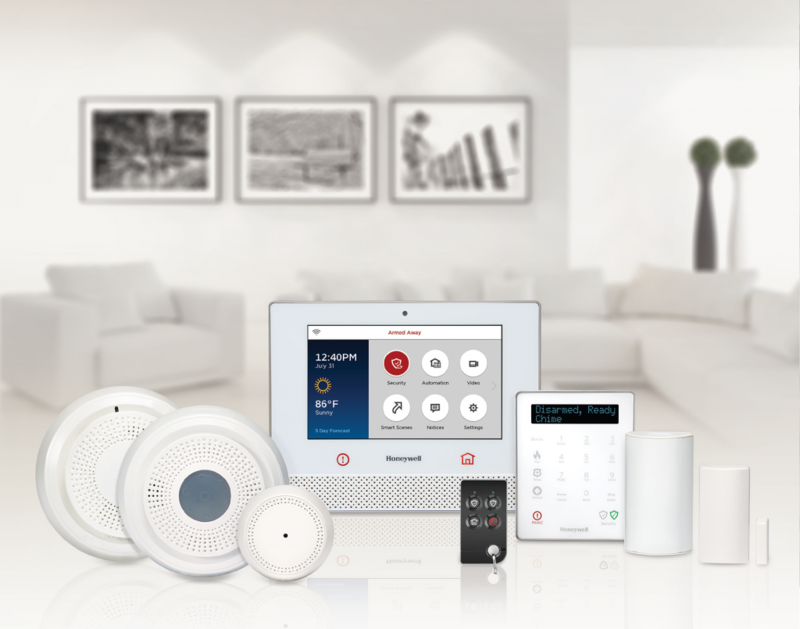 Lyric works with sensors featuring Honeywell SiXTM two-way wireless technology—enhancing the e ectiveness of your security system and providing you with complete, whole-house protection. Stylish and unassuming, they preserve the beauty of your home while protecting it. 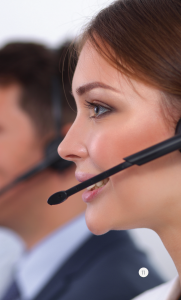 Provides the ultimate protection of life and property and can be professionally monitored 24/7. When one detector sounds, they all do— helping to ensure you’re noti ed wherever you are in your home. Low-pro le devices provide superior protection for doors and windows. Listens for the sound of breaking glass and provides an excellent rst line of defense against intruders. Alerts you to alarm conditions with a loud siren and a bright, ashing colored strobe light. Provides easy, ngertip control of security, lights and other devices and visually indicates system status with a bi-color LED. The Lyric Controller responds to simple voice commands, letting you enjoy convenient, hands-free home control. Simply say “Hello, Lyric” to bring it to life. Your mornings can run more smoothly by saying “Wake Up” and having your heat turned up to the perfect temperature. Ready to turn in? Just say “Bedtime” to arm your security system, turn o the lights, lock the doors and set back your thermostats. Say hello to convenience. 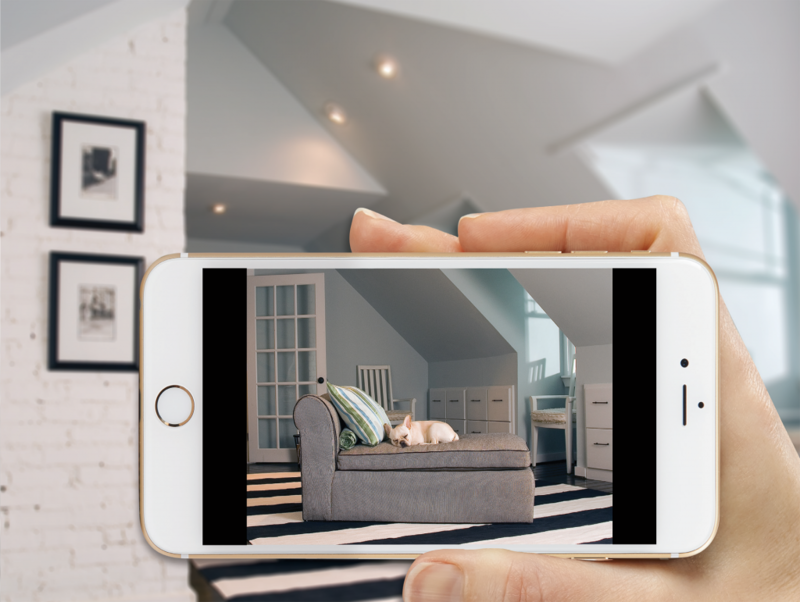 Lyric™ makes it easy to automate scenes for energy savings, comfort and security. Leaving for the day? Your lights can go o and the thermostat can adjust itself to a more economical setting. 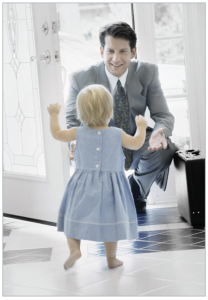 Unlock the front door for a babysitter at the same time every week, have the lights turn up as the sun goes down and always enter a comfortable, well-lit home. 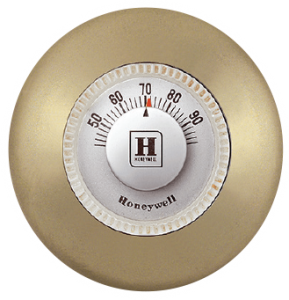 In 1953, Honeywell forever changed thermostats with the introduction of the Round. 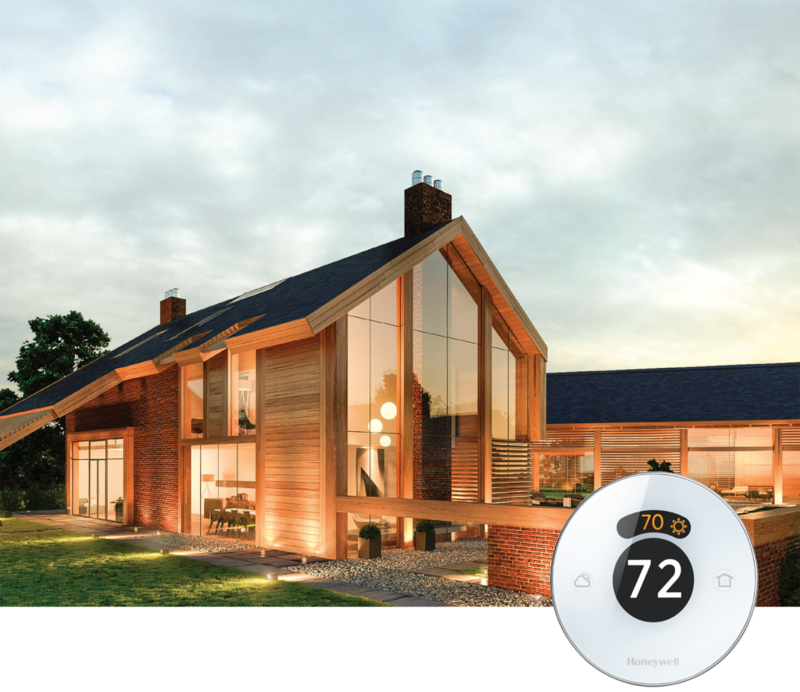 More than 60 years later, we’ve come full circle—reinventing the round thermostat with Lyric. It features the same iconic shape with a sleek, modern look and smart technology to make your home more comfortable and energy e cient. 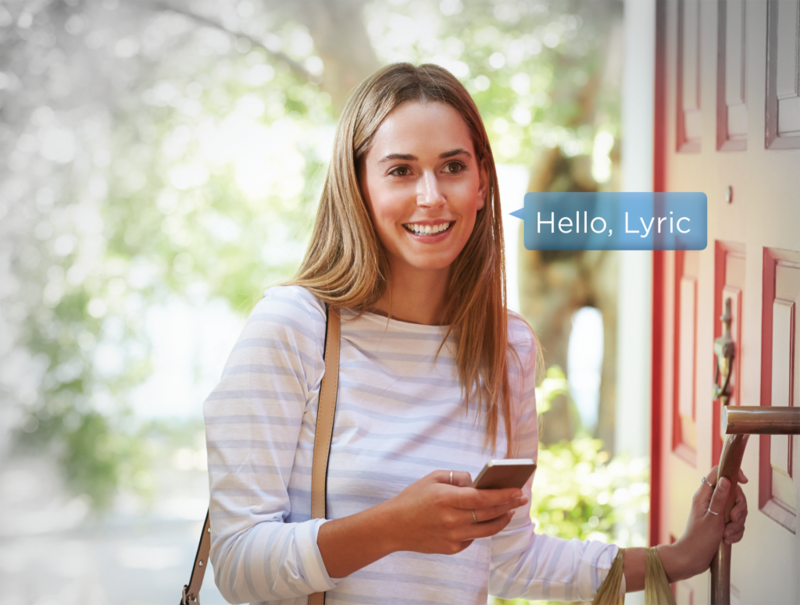 Lyric™ turns your smartphone into a smart home—whether you’re across the street or across the world. 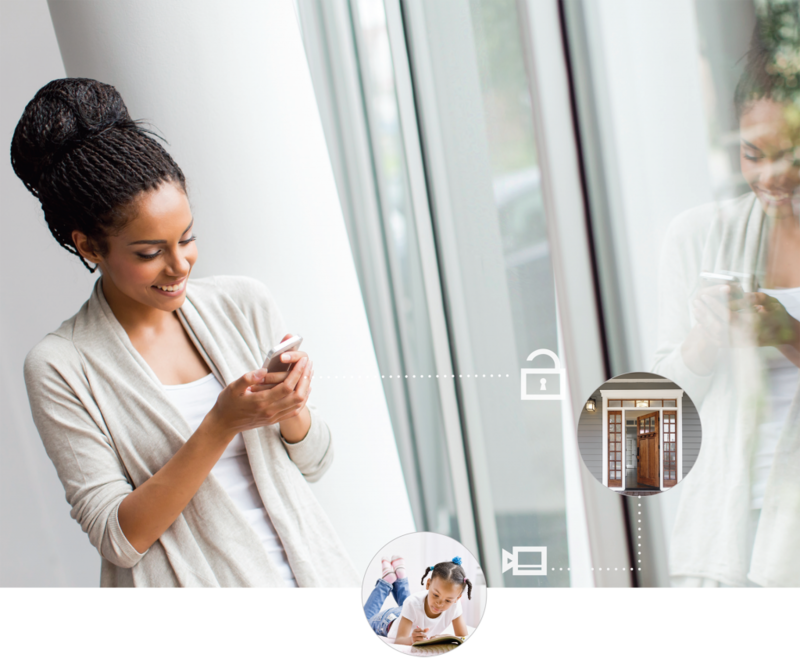 Control security, thermostats, lights, locks, cameras and more whenever you want, wherever you are. 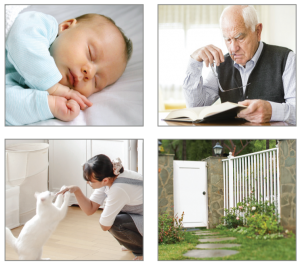 Know at a glance if a gate has been opened, a window has closed or if your home gets too warm or too cold so you can take action. It’s the smartest way to stay connected. GPS vehicle tracking* puts you in the driver’s seat, letting you keep tabs on teens and elderly loved ones on the road. 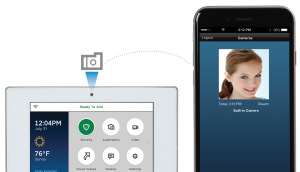 The Lyric™ Controller has a built-in camera that can send you a picture when the system is disarmed, making it a snap to stay in the know. See when your child gets home from school and know exactly when the babysitter or dog walker arrives—any time, anywhere, on any smart device. Who says you can’t be everywhere at once? View live video on the go and see what happens the instant it happens on your smartphone or tablet. Whether you want to peek in on your pets, check up on your parents, keep up with your kids or just keep them close, Lyric™ puts peace of mind in the palm of your hand. 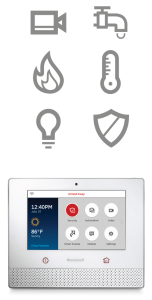 Customize alerts by time, day or motion detection so you only see what you want to see. Know if a delivery arrives, view who comes and goes and see what’s going on when you’re not there. 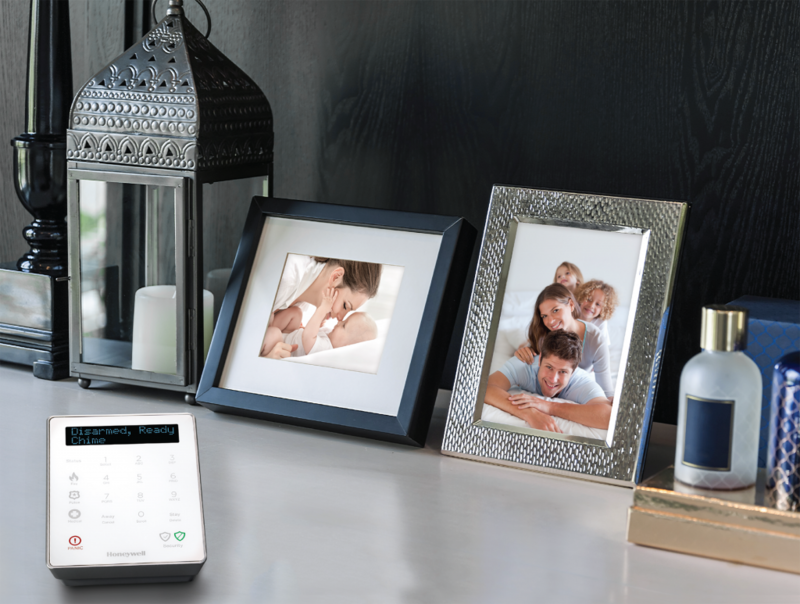 The Lyric Keypad enables easy, on-premises security system control for the ultimate convenience and exibility. Sleek and stylish, it blends with any décor and can be placed on walls, tabletops or nightstands. 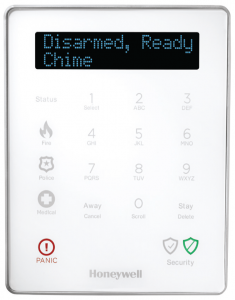 Arm or disarm your system, summon emergency response and receive system status updates with sound and voice virtually anywhere in your home. 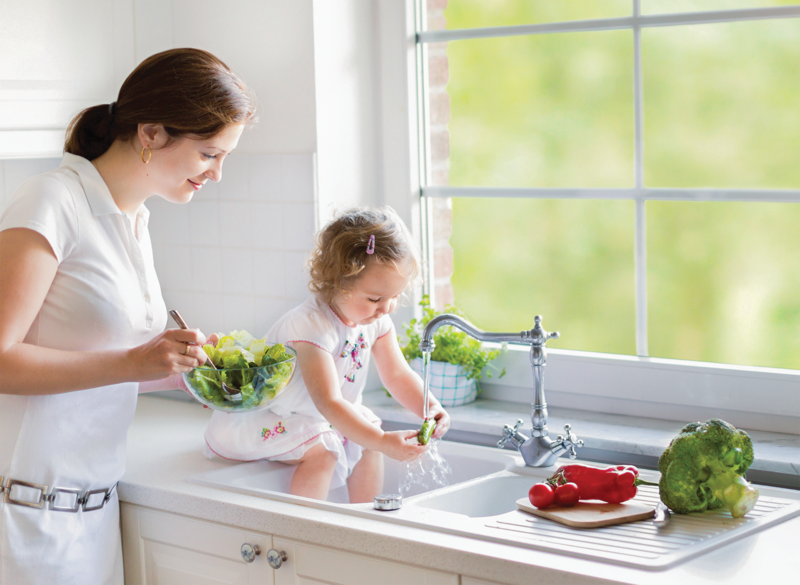 You and your family can enjoy peace of mind 24 hours a day, seven days a week by having Lyric™ monitored by a central station. These highly trained professionals are always standing by, ready to send help to your home in the event of a burglary, re, carbon monoxide event or other emergency.